Get this Professionally designed website About SEO exclusively, with high DA=17 and PA=26 Domain fully functional, Loaded with Quality content. Loaded with 70+ SEO and Web Tools Ready for your monetization and Affiliate Marketing. 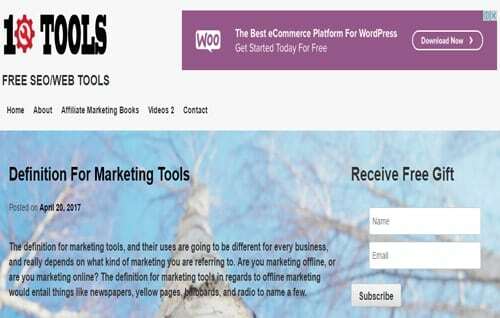 It includes an aged domain 10tools.com very nice domain with good DA and Alexa rank. It has good traffic as well. If you would like to use our hosting, The cost is $5.00 per month for a 1-year subscription. You will be charged $30 if you use some other host.